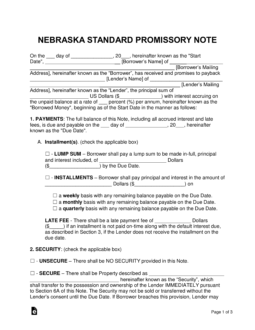 The Nebraska promissory note templates are documents designed to help ensure the lender in a money loaning transaction receives timely payments from the borrower. In addition, the templates cover many areas in regards to both the parties personal information and the details of the agreement itself. Below are two templates for the state of Nebraska; remember to read the details on both to ensure you select the one for your loaning situation. 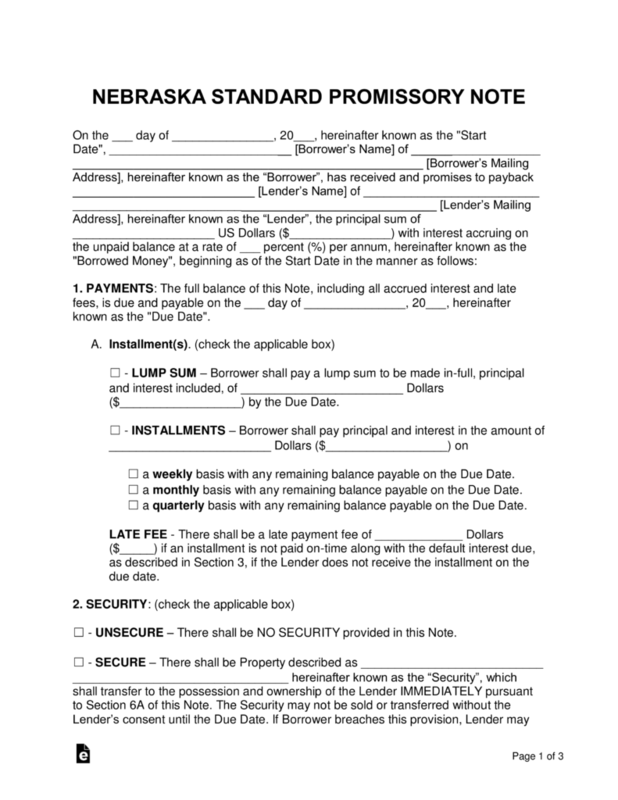 Secured Promissory Note – This template includes a section on security. This requires the borrower to set aside a personal possession such as a home, vehicle, or boat that is given to the lender if payments can no longer be made. Unsecured Promissory Note – This template does not include an area for security to be declared. This adds additional liability to the lender, as there is no guarantee he or she will be reimbursed the loaned money if the borrower entered into default on the balance.